Bicycle with a Shiba Anyone? 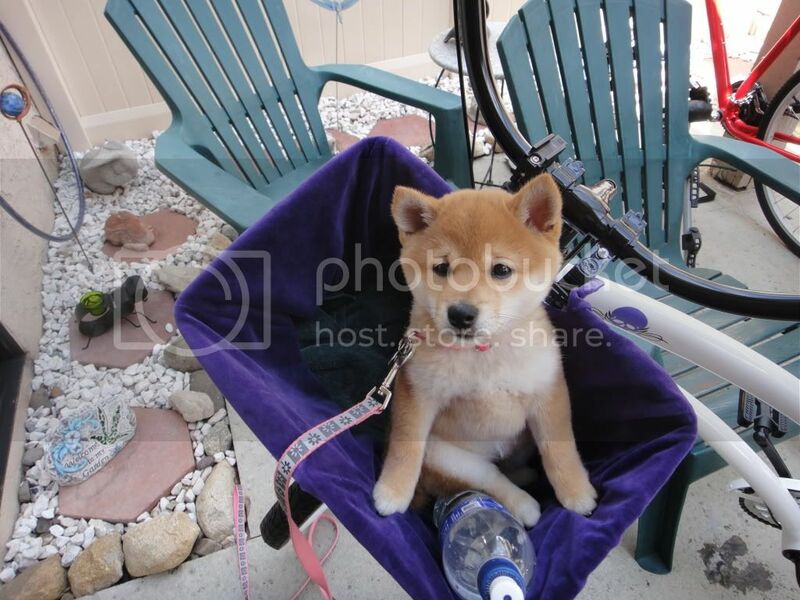 Was wondering if anyone has tried using the dog attachments that are made for bikes to take their shiba biking with them. I don't go on long rides, but it would be nice to be able to take Fuji along. Anyone have any experience here? Thanks. I didn't use a dog attachment, i just use a regular leash. She is accustomed to walking next to me so it was easy to ride with her. Good luck! i've also "road worked" several Shibas on a bike...but just holding onto a regular leash. i started by walking them next to the bike...then gradually work up to riding and riding with a bit of speed. The "walky-dog" type attachments keep the dog at a consistent/safe distance from the bike...and you can keep both hands on the bike - unless you tie your dog to your waist - but it can be hazardous! You must be careful that the lead doesn't tangle with the bike/wheels. Wanted to post quickly about how I've just started biking with my dogs (one at a time). It's a BLAST. They all heel really well (on the left side) so I thought it would be difficult to get them to run along the right side (for bike trails or street riding) but really they've adapted very well. I just took a short walk with the bike in between myself and the dog, and then jumped on the bike and away we rode. Their stamina is not great and they're not super speedy, but I think it will be a great way to get them exercised on days when I don't have as much time. Now to just get all 3 going at once! 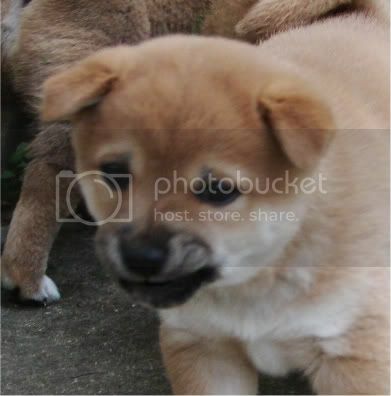 @McYogi Did the individuals in your pack all heel naturally, 'cause my shibas though generally well behaved, don't heel. Do you have any tips on heel training? Both my shibas are still young (11mos & 20 weeks), but the older one is giving me some adolesence issues from time to time. I'd really like to bike with my shibas, but since I don't trust them not to cross in front of the bike all I've come up with is getting one of those kid trailers and seeing if I can get them both to lay down in it. Does anybody have any experience with those trailers? I am getting a bike trailer for my dog today for long rides. Kinda like the ones for children, but in this case, I am pulling my dogs. I have seen this http://www.amazon.com/Petego-Walky-Hands-Free-Bicycle-Leash/dp/B003OYIAW4 but I worry my dog might get caught in the tires or start chasing after a squirrel and pull us into on coming traffic. A question for those who cycle with their dogs. Do you ever get ppl accusing you of animal cruelty for "forcing" your dog to keep up with you? I used to take Elwood biking with me all of the time. I taught him to run right beside the bike & used a loose leash attached to his harness. I loved biking with him, it was one of the highlights of my day. It was amazing to see him running full speed beside the bike. One day we were biking in an area of our neighborhood with new construction. It's typically a good area to bike in because there isn't a lot of traffic. One of the construction workers started using a nail gun right beside us & Elwood freaked out. He ran in front of the bike & I slammed on the brakes to avoid hitting him. I dropped the leash & went head first over the bike, banging my knee up pretty good in the process. Thankfully I was wearing a helmet. I limped home & my husband had to go catch Elwood, who was gleefully running circles around our neighborhood. It took me a couple of weeks to be able to walk normally again. Thanks for the warning, @catorlee. I definitely wouldn't want anything like that to happen to me. We haven't gone very fast yet, and I'm not sure I could (I'm not to best biker either). I used to take them on my rollerblades and they never got spooked, even on the busy bike paths. Fingers crossed we never have something similar to your situation. It would probably end our biking days too. I walk 3 dogs in one hand now. 3 things help the most; collars high on their neck, right below their jaw bone (think "show dog"), short leashes, and I keep my leash arm/hand next to or behind me, not in front. @deerpark I would hope to never get accused of hurting or forcing the dog. I also hope to never accidentally run them too hard/long or cause an injury, so part of it is knowing your dog, and not really listening to someone if they don't have a legitimate complaint. Like I mentioned above, one of my dogs (the smallest) doesn't have the stamina or the desire, so he may not go as often or get special short rides. I haven't, however, ever gotten complaints when I rollerbladed with them... I guess that's another issue that could cause a problem down the road. We don't have a car and go everywhere by bicycle, but there is no way in hell I would have Hayate run beside me... he stops to sniff or pee on something every ten seconds! We use a back pack type carrier for Kuri (it's a modified toddler one) but Hayate has outgrown it so we got a doggyride trailer. They can comfortably ride it together. For some reason Juni doesn't like to jog with me much (only if she knows there´s rabbits or deer around, when she probably thinks we're out hunting together) but she enjoys running with the bike. If I'm lazy and only want to get somewhere a bit faster a short distance I let her run ahead of me on her leash but I make sure I have my hands on the brakes and watch her very carefully. Otherwise I use one of those side attachments. I still watch her carefully so I can see that we're at a comfortable pace for her. I've read that it's best to keep the dog at a "trotting" pace only, which means we're not moving very fast. @djinn we're planning a combined kayaking-bicycling with dog-trip this summer so I will enjoy reading your travelblog for inspiration! Foxy sits in my basket on my bike. I started her as a pup and she still fits. I need to take a new pic with her now that she's a year old. She loves it!! Naw, so cute! Is it safe to have them on a bicycle when they are so young though? Maybe it depends on the suspension and how flat your neighbourhood is. I use a dog scooter. Safer and more controllable if they try and veer off anywhere. The weather is getting nicer, I think we will go scootering in the morning. I'm in CA and where I ride is very flat. She knows to stay seated and if she tries to stand I just tell her to sit and she gets a treat. Then a treat when we get there. She's a very good passenger. I also don't ride down really busy streets either. Just neighborhoods. Flat would make all the difference... If I tried to ride around here with one of mine in a basket I think it would have the same effect as shaking them violently! Japanese roads are less than pristine. I have ridden with a cocker spaniel once, and will never ride with another dog. I view it as a high risk activity- even the most stable dog can be startled in an urban environment and dart under the wheels, pull you off etc. The EzyDog mountain boards look cool, and would be easy to bail if needed. i view scooters the same as bikes. OMG, @Foxylover I wanna print that picture and look at it day and night! I did not bicycle with Kimi yet because she is only four months old :-) But I sometimes walk with her and my bicycle so she get used to walk beside it and not run into the wheels. @foxylover really love your little Foxy! So glad I found a thread about this. Holly is nearing 7 months now and I've gradually starting to bike with her using the "walky-dog" around the quieter parts of my neighborhood for 15-30 mins at a time. She generally likes running along side the bike and it's such a good energy released for her that I think I will keep it up at least a couple times a week. I do have a question though about shibas nipping your leg while they run next to you. Do any of you have experiences with that? Holly does it to me when we start the ride and then towards the end. I can't figure out whether she's just being playful, wants me to speed up (if she has attention span to nip, then she can run faster, right? ), or is annoyed and wants me to slow down. She generally will not stop nipping regardless of what I do once she gets it in her head that she wants to nip. She is a bit young to be running with a bicycle, I would wait another six months or so. About the nipping, it seems she gets over excited. Any tips on training them to sit there? Just go slow if the pup is scared, putting her inside and praise and remove her. If that seems ok put her in and walk with the bike a bit slow. Baby steps basically until you can actually ride the bike. I make sure Juni sits down too because otherwise both she and I easily gets off balance (nowadays she sits in a basket behind me). I just stop and press down her bottom and then start again and keep repeating if neccessary. She gets a treat normally when she is hooked up. But she quickly learned to love bicycling, we go fast and she doesn't need to do anything by herself, suits the little lazy primadonna perfectly. I am now looking on Amazon for these special baskets. What size do you guys use for your Shiba? I agree with what Juni said, 7 months is a bit young to me running Holly in this manner. If you want to continue running her while she's growing, then there are several things you must follow to reduce the chances of her growth plates being ruined. First off, never run her at full speed, she shouldn't be actually running but more like trotting. Do not run her on pavement, always on soft dirt or grass. Pavement is very hard and really bad for the joints, even adults shouldn't be run on pavement for extended periods of time. And finally, she should never be run more than once a week, preferably 1-2 times a month, at most. Your best bet is to wait until she's 15-18 months old before really biking with her, you may find that by that age there won't be a nipping problem either. The nipping sounds like it could be a stress indicator, that she's telling you this is something she's not enjoy and can't handle too well. @poltergeist the basket I used in the front is from Trixie and the one I have now is the large wicker basket from Basil. I can fit a bag in too and a blanket if needed and Juni actually sits better if it's a tighter space. The brands are German and Dutch so I'm not sure if you can find them in your country. Should be able too-I'm in EU. I just created this today because I have been dying to go biking with Kobe. It is still a work in progress though. I am eventually going to buy a better crate. I went biking with Jibo once and he seemed to do fine. He is only 5 months and I did not force him to run anymore than he wanted to, and we went fairly slow. He enjoyed it, however after that night he didn't seem to like running with my bike. He would stop mid-run, cross over my bike, or get distracted by something else. I am planning on getting the attachment for the bike so he can ride by the bikes side. Also, that crate is awesome!! I will have to try and make that as well some time. This shiba rides in style . . .
Glad to see this. I want to use my bike this spring but I feel awful leaving Otto home on a sunny day. He will have to come with us. He hates the car rides because it's bumpy, I wonder if he will be ok on a bike. I was thinking about the trailer because, knowing him, I think he will be scared of the basket. Our Yuka likes to run besides the bike, almost daily, sometimes twice a day. We do like 3 to 6 km (2 to 4 miles) a day. It is an extra responsibility: you not only have your own life to watch out for, but also that of the dog, and the others on the roads. His leach should never be too loose around his neck. He should not be able to pull out. At all. I use two fingers as spacers and strap the leach as tight as I can. We watch traffic and roads and dog vigorously, all the time, but keep a relaxed attitude and confident route. As soon as we see the dog does not know what way to go: we explain. We never leave the dog in doubt when he looks to us to ask directions, and inform him as soon as we take an uncommon path. He now understands 'left', 'right' and 'straight' like a charm. On tarmac (where cars drive by) he is only allowed to walk exactly beside us, on the proper side (away from the cars). When we stop (traffic light and such) he has to sit and stay, so he wont wander of. It is ok for him to walk ahead, but only if situation allowed it, that is: on dirt tracks or on dedicated biking paths, with no other people in sight. When I see a sideway or another bike or a man with a dog, I tell him to walk beside me, by giving a small thug on his leach. When we passed the man (dog, horse, whatever) he is allowed to roam ahead a little again. When he is tired from running, he is allowed to drop back a couple of meters. When he walks behind me I look with the corner of my eyes at him like two times a second, and drop speed if needed immediately. We stay in control of the situation all the time. Sometimes he defecates or urinates. You have to read him, and stop in time. This mostly happens at the very beginning. When he does not want to go somewhere, because he thinks it is boring, he will sometimes try to pull back, sit on the ground even. We just stay calm and thug his leach to come besides the bike and drive on. He has three walking modes, just like a horse. The lowest mode we use to get started and loosen up or when really tired. The middle mode is the favorite mode, he can run this from pretty slow (and hold this tempo for long times, like 5 to 10 minutes or longer) to pretty fast. The really fast mode (like gallop), he can only hold for ten, twenty seconds at a time, when he has lots of energy. He will run as fast as he can. Mostly to impress my girlfriend. He likes to jump in the water to cool down. We stop at all water we like. He does a quick pitstop, and on we go again. Total time of bike rides: 40 to 60 minutes, easy. We dont ride hard at all most of the time. Just a slow jogging speed I would say. It is not 'just pure speed' we want, it is the experience of going 'fast': together. Riding with two bikes and the dog is not a problem at all. 'but will he not run past the wrong side of roadlights?' Nope. Never. He understands. I think they do it wrong once, then never forget. He even understands zig-zag obstacles, where he would be able to just walk underneath: he doesnt. He zig-zags properly by himself. He is very tired after 3 miles+. His condition is not very good yet. We dont push it. He loves it. One of the favorite parts of the ride is when he notices we are heading back. He then 'finds' his way back (with some instructions when needed), and runs, as fast as he can: to his house. When he is in, he kills one of his stuffed animals, plays for a while very happy, then chills for hours. Running is nice. But home... sweet home. Hiii guys. Bf and I are finally planning on buying bikes within the next couple of weeks! We used to have some nicer mountain bikes, but they were stolen a few months ago and we really hoped they would find there way back to us. :( but we're planning on getting some more lifestyle / light trail bikes. Who knows, maybe we'll spot ours in the area while riding around and be able to get them back and roundhouse kick the thieves. So I'm looking into ways to bring Ozzy along. I had previously ordered a front basket, but he was smaller then and I had to cancel it since our bikes were like literally stolen the next day ha. It also didn't seem that weatherproof or sturdy. I think I would prefer a rack and basket for the rear of the bike... It seems like it wouldn't sacrifice any control (and ultimately safety), and many front baskets I've looked at have low weight limits. Does anyone know of any brands / styles / websites I should check out or recommend any specific products? ^ ps - I really like the basil basket that @Juni suggested to me before but I can't find it for sale online anywhere. :/ most I look at seem to be totally not weather proof materials or for <15 lbs. 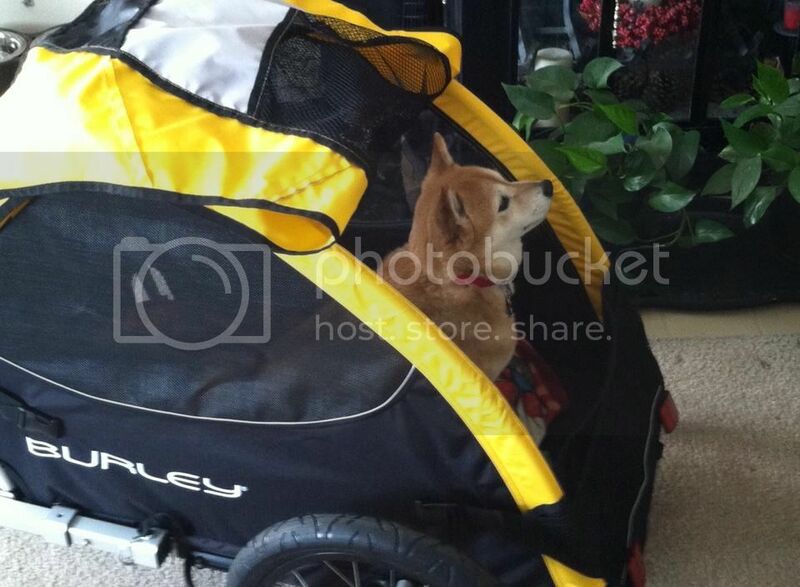 This is so funny I was looking at dog contraptions for bikes last night. I think I am going to get one of those carriages that travel behind the bike.LOL! A bit ostentatious but I think Sora would love it and as long as it has an area to strap her in it will be safe and stop her from jumping out. I am going to make some enquiries later. @lilikoi yeah I know the carriage has both pros and cons. I am just worried about using a basket up high like that Incase Sora tries to jump out if she sees something she is interested in or I have an accident. I know people and their pups get around like that a lot but I still worry. Is there a basket with a safety strap or hooks to make your own? I am really keen to get Sora and I adventuring but she is too young to run beside the bike and I haven't decided either if I will train her to do that. (yeah I'm a worry wart too!) I just like the idea of cycling to our next adventure place and parking the bike somewhere safe while we go on one of our walks. @niki82 - very true, I'm also worried about him wanting to chase after something or if I crashed or hit a bump. I've seen lots of baskets with safety straps, but hardly any that are for dogs more than like 15 lbs (Ozzy is currently 18 lbs). Some come with like mesh / wire covers to hook or zip on top to keep them from jumping out. I'd love to take Ozzy on jogs or beside the bike when he's older. While he's too young for it, I'll probably let him get used it by walking beside the bike with him sometimes. Being able to take Ozzy with me when biking would be so convenient cus I don't have my own car, so when my bf is working if I want to go anywhere I just walk. xD we'd much rather be doing stuff outside like riding bikes to our destination than riding in the car anyway. Trixie also do dog baskets but the fittings are not very good. We have attached a strap from a bag to the basket bottom with a lock so I can hook on her harness. Earlier I used a car belt attachment (the ones you can get for dogs) and it also worked. I can take a picture and show it. Juni doesn't attempt to jump out at all but if I suddenly need to brake she may lose her balance. It actually happened a week ago because she was standing up in the basket, super excited about some rabbits we saw, and I had to brake and swerve for a pedestrian. She lost her balance and fell out which left her hanging in her harness at the side of my bike. A fellow bicyclist was kind enough to stop and help me scoop her up because it was a bit complicated on my own. Juni wasn't very shaken by the incident. In my opinion I would skip a trailer, I think it will be too heavy for just shorter trips and front basket because you lose steering capacity and balance. I also find that Juni is more snug if it is a bit tight with room so you don't need a huge basket in the back either. Plus again it throws you off balance a bit with a heavy object too far back. @juni that would've been so scary! Glad you're both OK and thanks for posting the link. It's such a dilemma trying to figure out the best bike contraption to use for Sora. I am in a similar position as you @lilikoi in regards to not having a car to use at present only it will be happening for the next year. I have looked into public transport but if I go in a taxi with her she has to be in a dog carrier but where will I put it while we're out and about? I am ringing to speak to the northern rivers buslines boss on Monday but the employee I spoke to said I will likely have to use the carrier. It's just so frustrating because I miss taking Sora out to different places! I really want to make travelling on a bike with Sora to be fun and safe not turn into a big drama. Thank you @Juni! I looked a bit I to trixie yesterday but the stuff I found about it was mostly in Europe, I couldn't find a place to order it in the states. Had that issue with Basil too but there seemed to be more potential for it. Going to go by local store later today, their site says they can order any Basil basket so hopefully that includes the pet basket. I've looked at a couple of like mesh / wire baskets that could probably get the job done, but I wasn't sure if I could depend on it as much since it wasn't made specifically for pets. But if the weight limit is good enough it would probably be better than some options, and I've considered trying to make my own or adjust one to my own liking. I think as long as you put something for Ozzy to sit on, so he won't risk getting claws stuck in the mesh, he'll be fine. With my current Trixie basket there was an attached wire to put on top, like the Basil ones, but don't bother with trying to order something like it because I think they may all be too low to fit a shiba anyways. The Trixie one certainly was. Ok thanks. The store I went to is able to order the basil one but can't do it until the manager is there on Monday. I'll probably go for that one if it isn't beyond the budget. Great! Basil is a lot better quality. I had the bigger basket, but it was almost too big actually. It depends on Ozzy's size too of course and what you want. There was room enough to put some other small items in it but it also stuck out a bit too far back which affects the balance of the bike slightly. Hm I was planning on getting the large size, I figured that's what would fit him best. Do you think I should stick with that or maybe go for medium? Ozzy is currently 18 pounds (8 kg) and probably won't get bigger than 25 ish pounds or around 11.5 kg max. Here's the dimensions of the different basil sizes, from their website. The one I have now is roughly: floor dimensions 43 x 23 cm and height in front 18 cm and at the back 30 cm. Juni is pretty tall for a female and weighs around 8 kg. I'll upload some pics for you later today. Oh thanks! She looks quite comfy and dedicated hehe. Is that like a bungee cord around the rack that holds the basket?? I have a seat belt accessory that I think would work well to hook to him.